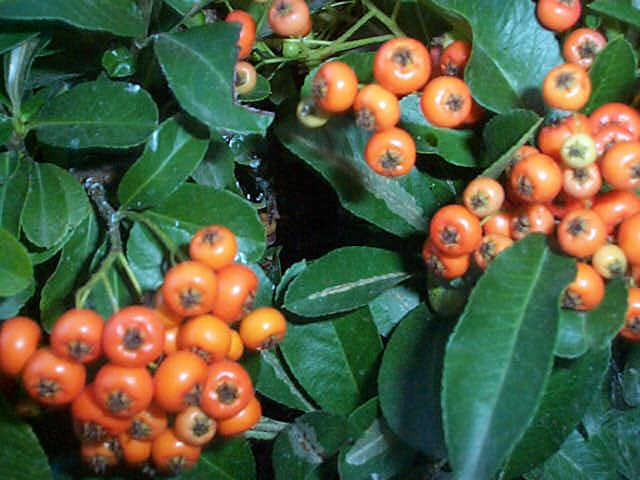 Home|Floral Library|Firethorn – Pyracantha spp. Decorative Life: Many days to weeks. 32-34F for fruited branches. A safe plant over-wintering temperature is 22F whereas 18F will kill the plant. From the Greek “pyr” (fire) and “akantha” (a thorn), referring to the red berries and spiny branches.